Tim Brown, founder of IDEO, came out with a book called Change by Design in 2008. In it, he talks about IDEO’s approach to helping businesses all over the world innovate their products. The key takeaway from the book is IDEO evolves their client’s products by introducing their products to a radically different work culture heavily influenced by design thinking. Design thinking is an approach to creative problem solving that is finding it’s way into every tremendously successful business & tech startup since we entered the Information Age. 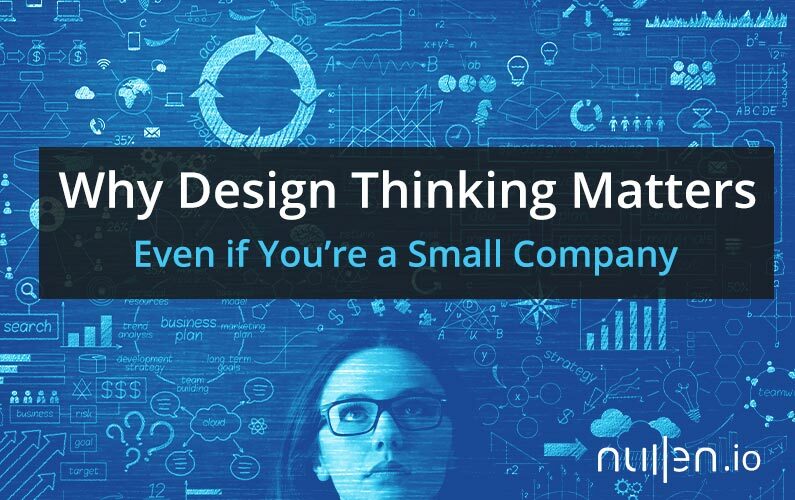 Everything we do for small companies at Nullen has been influenced by studying and immediately applying innovative approaches (like design thinking) that major companies like IDEO, Apple, Steam, Pixar, and Google have mastered and continue to evolve. We’re constantly seeking new ideas and approaches then figuring out ways to adapt them into smaller scale work environments. We often see small companies just throwing money at pre-packaged solutions that aren’t adaptable to what they actually need. We actually don’t know what you need until we learn about your organization, the people that work in it, and about the community of people you service. Yeah, we know the best practices that are standards in the industry, but not all best practices are the best solutions for your company. Like for instance, a company like Blackbaud being is considered an industry standard database solution for many nonprofits and schools across the country. However, with that standard comes a hefty annual price tag, a massive integration process, and a even larger learning curve for employees that have only been using excel spreadsheets. They of course have great and powerful products and modules inside those products, but the point is that this doesn’t add up to a perfect solution for everyone just because they’re an industry standard. When a small business, nonprofit, or educational institute decides to reach out to us about innovating an aspect of their organization’s services the first thing we do is develop interdisciplinary projects that improve the businesses weakest touchpoints. We then work with the employees responsible for those touchpoints so that they can learn how to make innovation a regular part of their job. It’s always energizing to see that you can influence the success of the company by continually improving everything that’s lagging behind. From there, we work towards helping everyone make peace with this new mindset. As humans, we struggle with change, it makes us uncomfortable and it becomes especially challenging if it involves a job we’ve been doing for many years. It can also feel disheartening to seemingly never complete anything, so it’s important to clearly define goals so you can generate a lot of small awesome victories along the way. In small companies it’s very easy for veteran employees to go through the motions of, “Well this is how we’ve always done it.” and are often not incentivized to look for better alternatives. This is a cultural problem that is best resolved through indirect approaches. It’s important to be careful when challenging an employees work rituals and habits without first learning why they prefer doing things that way in the first place. You always want to factor in their thoughts and feelings when bringing new solutions in. You can’t just brute force change the way someone’s done something for the last 10 years and expect them to magically transform overnight. We also find its easier to space innovation projects out that involves employee participation so that they aren’t feeling like they have a whole bunch of new job responsibilities without additional compensation. We always tell our clients that we’re running a marathon together and not a sprint. This mindset also allows us to keep our fees as low as possible, while also preventing employee burnout. I recently explained to a group of leadership why they were spending time and money rebranding their organization. 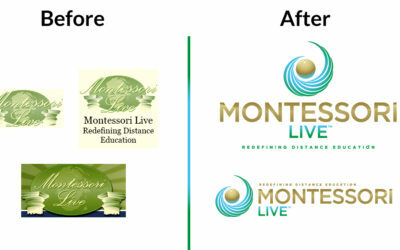 Their rebranding process included creating a new logo in collaboration with me, my team, and an in-house leadership group, and developing a master set of branding guidelines that will be implemented throughout the organization, used to build & grow their social media platforms, and modified to completely redesign their website. They’re doing these projects because all of their digital branding assets are old and it’s reflecting poorly on the entire organization. They offer a premium service at a premium price, but that expectation isn’t conveyed properly online. As a result, their new customers are often confused because the quality of the company’s digital properties don’t align with what they’re encountering when visiting their impressive campus. Their website is straight from the late 90’s, their logo looks identical to 20 other organization’s logos in the industry (which visually makes you look like a commodity), and employees are stuck with a blurry jpeg image that can only be placed on a white backdrop because they don’t have a transparent version. For everyone else, the overarching reason you should build a more adaptive organization and encourage your employees to be more innovative with professional guidance is because we live in a fast paced digital world filled with technology that’s multiplying our evolutionary processing power by 2 every year (Moore’s Law). Because of this, every single business on earth needs to be aware that there’s an entrepreneur, at this very moment, working on building something special that could make what you do completely obsolete. So it’s critical that you separate yourself from the competition by continuously evolving your offerings and being more authentically transparent in sharing why your business is worth caring about. 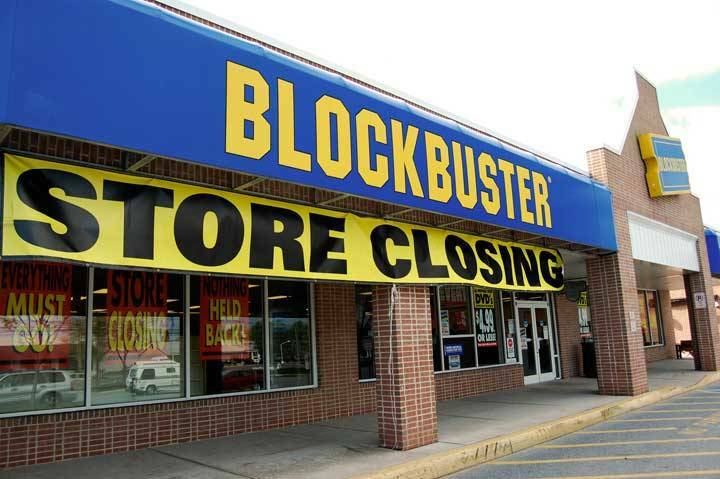 Remember Blockbuster? They had over 9,000 stores scattered across the United States at their peak. Rather than prioritizing and spending company resources on innovating their product offerings they decided to stay stagnant and focus on expansion. They put all of their chips in the DVD basket. Did they not recall that the DVD had just recently replaced the VHS tape? Their shareholders were of course happy with this constant growth of store locations, but they didn’t factor in how powerful the Internet would become as we quickly increased our download speeds from 56k dial modems to the now premium standard of 250 mbps today. Please Google Fiber, bring your 1 gigabyte per second connection to Cincinnati, Ohio! However, Netflix did see how powerful streaming platforms would become online and they decided to innovate their own physical DVD mailing subscription system and gradually evolved it into a video streaming service. As a result, Netflix owned the rental market so hard that it nuked both Blockbuster, Hollywood Video, and anyone related. Renting a physical DVD at a store is now considered a novel activity. The only way to take a more innovative mindset is by including key players and leaders in your organization in on the ground floor of multi-disciplinary projects where they’ll gradually develop new skills like design thinking, and will have a say & ownership over the final outcome. When working with Nullen we love educating and growing an organization through a Digital Integration Team (DIT). We put together a team of your strongest employees and leaders, then we give them ownership over helping the company choose critical changes that need to be made. We utilize everyone’s unique perspectives & insights to redesign touchpoints, then we decide how we’re going to go about executing the decision. These projects give everyone involved a great skill base they can then transfer into improving every aspect of themselves and their daily routines. Every choice eliciting advocacy. How we took an outdated brand and revitalized it by developing a new logo and digital marketing assets that could be utilized for everything. 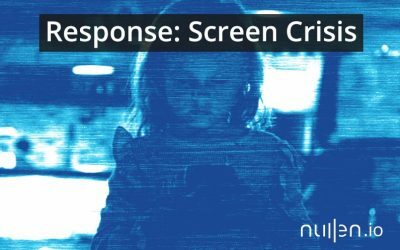 Sharing some optimism about the “Screen Crisis” I often hear parents and teachers talking negatively about. 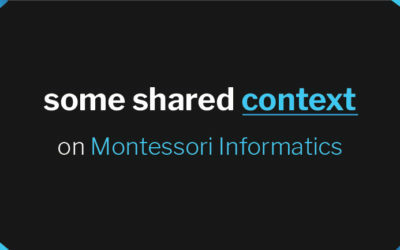 Montessori Informatics definitions and introductory context on the topic.